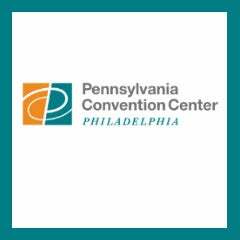 The Pennsylvania Convention Center is located in the heart of Center City Philadelphia at 1101 Arch Street, Philadelphia, PA 19107. The facility, within a major East Coast hub, spans more than six blocks and is easily accessible by car, train, taxi, regional rail at Jefferson Station, and bus. In fact, 40 percent of the U.S. population lives within a day’s drive of the Convention Center. The Pennsylvania Convention Center spans several blocks in Center City Philadelphia. Its mailing address is 1101 Arch St., Philadelphia, Pa. 19107. 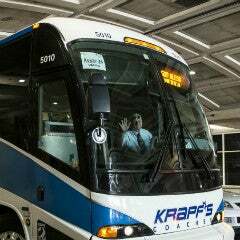 Click here for general directions on how to reach the facility. 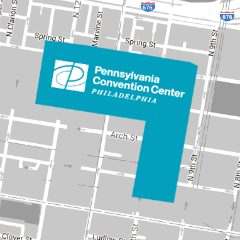 There are many parking options—both garages and lots—conveniently located within blocks of the Pennsylvania Convention Center.